Possessing the same whimsical, upbeat attitude as The Oh Wells, Scarlet Tanager’s music will put you in a positive mood and make your ears happy all at once. The six members of this band showcase how truly in sync a group of people can be. The music is tight, the songs are well crafted, the rhythms are exhilarating, and the melodies are the icing on the cake. Taking a page from many Punk bands, Scarlet Tanager does a lot of group shouts and chants in their music that immediately grab your attention. This dynamic group has so many tools at their disposal which is wildly evident in each and every song. They have fast songs, slow songs, songs that will make you stop and think, and songs that will make you get up and dance. To top it all off, Scarlet Tanager creates some sensational harmonies. There is so much to like about this band, you will be very glad to have heard their music. Being in a band is tough stuff. 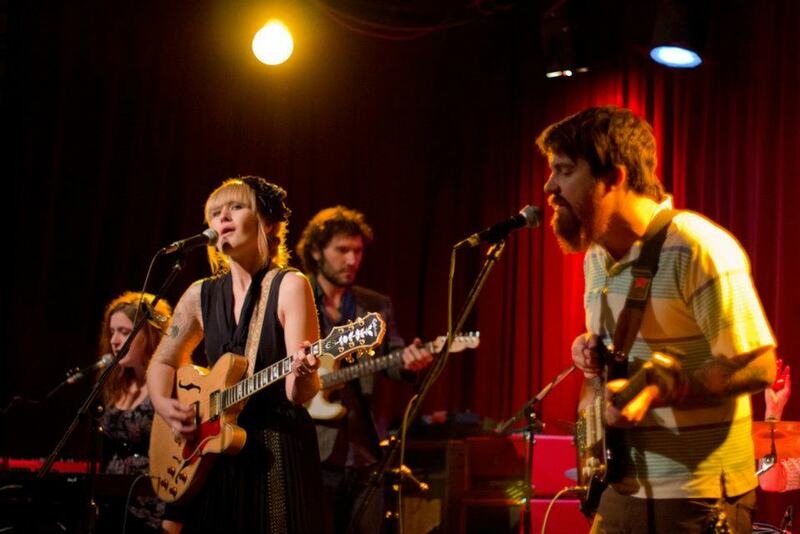 Being in a band with as many people as Scarlet Tanager has is even tougher. The fact that they have been able to do what they have while making it sound so easy is a testament to how close this group is. To get you started, some of my favorite songs from below are Bum Bum Bum, Zipcode (version II), and Tumbleweed. Oh, and The Gold Couch is pretty good too. They’re all good, listen to them all!